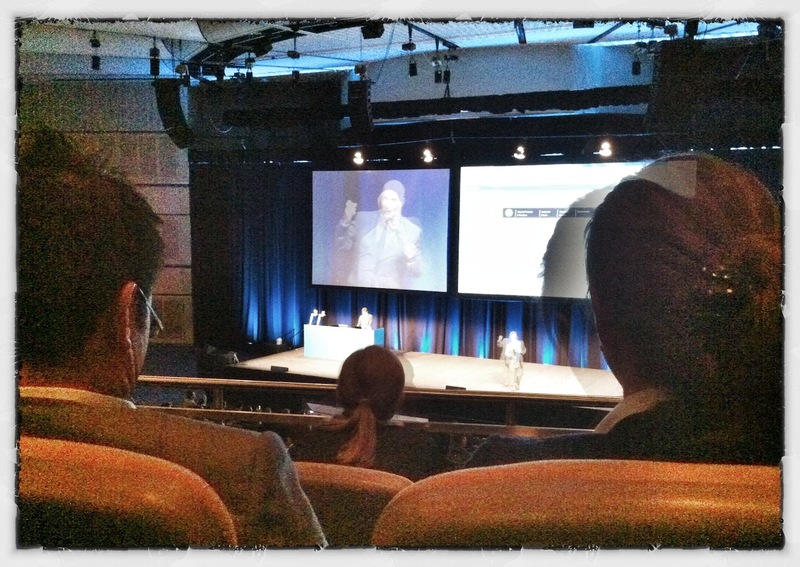 Yesterday I attended Salesforce’s Cloudforce Sydney 2012. It was a day of inspiration and knowledge from a selection of excellent companies who shared their insights about the social enterprise. But, “What’s a social enterprise?” I hear you ask. A social enterprise is a business that is at the forefront of how it connects, shares and collaborates with its customers, staff and anyone else that matters to the company. Salesforce is a company that does just that – it provides a platform by way of unpackaged, Internet-based ‘non-software’, for businesses to manage these interactions and relationships and in turn, be more successful at connecting with employees, clients, prospects and other stakeholders. There were numerous Salesforce client speakers yesterday, including representatives from Salesforce, Radian6, Commbank, Spotify, Vodafone, Forrester Research, ReachOut.com, Ogilvy, Activision, HP and Kimberly Clark, and video presentations from brands such as Burberry, Toyota and Rossignol. 1) There is a social divide. Your employees are social, and your customers are social, but is your company? 2) Work out how much to delight your customers. The customer is king but you need to manage their expectations. 3) Customers want access to real-time experts, not just customer care representatives. 4) Figure out how to use different channels in different ways, according to the state the customer is in for that touch point. 5) Real collaboration means being able to collaborate in real time, anywhere, from any device. 6) You have knowledge experts in your business. Find an efficient way to connect them with your staff and customers. 7) The social media people in your business should be the ones who are the most knowledgeable people about your business. 8) How can we not only maximise the use of current channels and communities, but also find ways to create our own? 9) What does your business model look like in 5 years if you aren’t social? 10) Failing is an important part of innovation and learning. Those who don’t try, don’t learn. Thank you, Jenn! I agree – that KLM campaign is awesome.